Terrifying newspaper headlines, such as “Airplane Plummets Out of the Sky” or “Terrifying Moments as Plane Tumbles Out of Control” are plastered across the front page. They quickly grab the attention of a travelling public that still does not entirely trust the large metal contraptions that zoom through the sky at mind-numbing speeds. So what makes these airliners suddenly lose control and fall from the sky? The answer is that it is the pilots flying them, and the aircraft are very much under their control. Many of the smallest aircraft such as the Cessna 172, fly at low altitudes. Typically, they are flown at at a maximum of just 5,000 feet or so. More advanced small airplanes, including the Piper Seneca, are equipped with turbochargers and can fly at altitudes up to 25,000 feet. However, these are only mechanical limitations and don’t take into account the human factor. At altitudes above 10,000 feet, the human thinking process becomes compromised. In the thin air at those altitudes, the body has difficulty obtaining enough oxygen on its own. In order to not only remain alert but conscious as well, pilots and passengers in aircraft flying above 10,000 feet must breathe oxygen from a pressurized bottles. So why is there a desire to fly at these high altitudes? 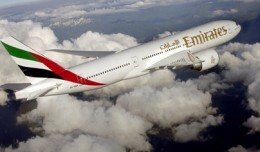 There are vast improvements in terms of cruise speed and fuel efficiency that are only seen at these higher altitudes. Another way to ensure that the human body is provided with enough oxygen while flying is to pressurize the interior of the aircraft. Pressurization counteracts the thinning of air at higher altitudes by compressing it, increasing the saturation of oxygen to the levels that would be found at lower altitudes. This level of pressurization is know as ‘cabin altitude’. When flying at between 30,000-40,000 feet, the cabin altitude inside a commercial aircraft is only between 6,000-8,000 feet. That is similar to standing on the street in Aspen, Colorado. In most commercial aircraft, the compressed air that is used for pressurization is bled from the engines. This compressed air is cooled and then routed through the cabin ventilation system. The compressed air is continuously fed into the cabin, providing both fresh air and pressurization. The excess and stale air leaves the cabin through valves that regulate the pressurization. There are typically at least two of these valves (in case one fails in flight), and they are commonly located in the rear of the airplane. One notable exception was the Douglas DC-10. 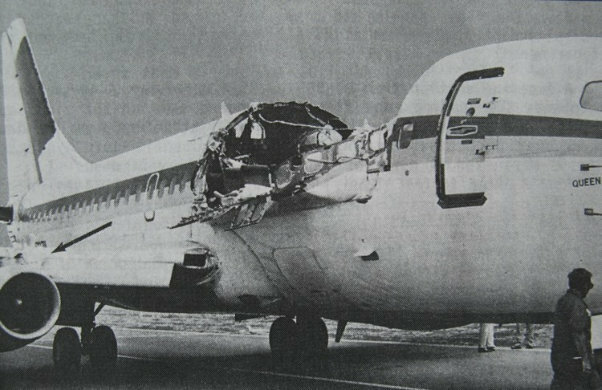 On that aircraft, one of the valves was located near the main passenger door. In the era when smoking was allowed while onboard, this valve was easily identified by the beige nicotine stains streaking down the side of the fuselage from it. 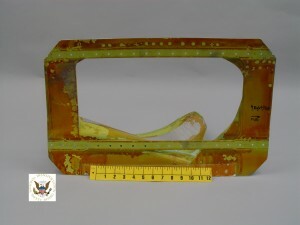 A damaged fuselage panel from the decompression of Southwest Airlines Flight 2294. Photo courtesy the NTSB. On occasion, there may be a failure in some part of the pressurization system while an aircraft is in flight. There are several possible reasons why an aircraft might depressurize. It can be something as simple as a door that hasn’t sealed itself properly. In other cases, it may be that the system providing compressed air from the engines in malfunctioning. 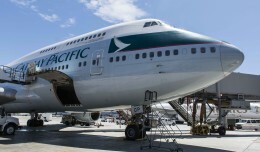 It could be that one of the valves regulating the air flowing out of the cabin has become stuck in the open position. In the exceedingly rare worst-case scenario, the cabin structure itself ruptures allowing the fuselage to decompress. This is the type of incident that affected Southwest Airlines flights 812 and 2294 in recent years. The status of the pressurization system is monitored by instrumentation on the flight deck. If pilots observe that there is a problem with the system, rapid action must be taken to protect the passengers and crew. Modern airlines are equipped with oxygen generators that feed the emergency masks which drop from the ceiling throughout the cabin. However, these generators only provide enough oxygen to last a few minutes. Some passengers, especially those with health issues, may pass out before they are able to secure their mask. Therefore, the pilots must quickly get the airplane down to an altitude where everyone can breathe adequately. The first action the pilots take is to put their oxygen masks on and activate the microphones inside these masks. Next, the engines will be brought to idle and the speed brakes extended (those are the panels that extend upwards on top of the wing). 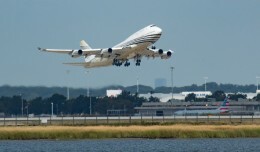 Depending on the aircraft and the circumstance, the landing gear and flaps may also be deployed for additional drag. Then the pilot will push the nose down and go into a steep dive. 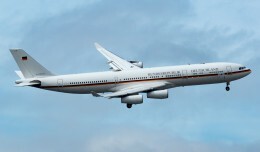 Additionally, the pilot will likely put the aircraft in a turn, increasing the descent rate. While the aircraft is in this steep dive, the flying pilot will be coordinating with Air Traffic Control while the other pilot will be making announcements to the cabin. This is a high stress situation, and sometimes the wording of the PA can be filled of anxiety. Because the pilot is speaking on the microphone inside the oxygen mask, the speech can sound labored and even a bit like Darth Vader at times. To the passengers, this may seem like a harrowing experience. Yet the aircraft is in precise control of the pilot at all times. Within three to four minutes, the aircraft will be down to a safe altitude with breathable air. This is typically around 10,000 feet, at which point the pilot can level off the airplane and retract the speed brakes, gear, and flaps as appropriate. With the aircraft level and stable, the Captain then assesses the situation. If everyone in the cabin is safe and there is adequate fuel, they may continue on to their intended destination, remaining un-pressurized and at a safe altitude. If there are injuries or a structural issue, they will divert and land at a nearby airport. These rapid decompressions are not common. However, they do happen on average once per year between both corporate aircraft and passenger airliners. Because of the quality training pilots receive, anything more than minor injuries are exceedingly rare. But what these events do create are incredible stories for passengers to tell to their families. And these stories are also the perfect material for the sensational eye-grabbing headlines that the news media loves.